As your “Health Coach and Food Detective” I will virtually ‘hold your hand’ (daily when needed) for a six-month period to instruct and guide you in understanding, implementing, and tweaking the “Specific Carbohydrate Diet” to your particular sensitivities and needs. I will make recommendations on nutritionally balancing the SCD foods and recommend “SCD legal” supple-ments, when needed. Your food and nutritional plan will be tailor-made for your specific health needs; whether they are to lose/gain weight, have more energy, reduce stress, sleep better, manage or heal from Depression, Arthritis, Fibromyalgia, Heart Disease, Diabetes, Acid Reflux, IBS, Celiac Disease, Candida, yeast, Leaky-Gut Syndrome, SIBO, Ulcerative Colitis, Crohn’s, Diverticulitis, Cystic Fibrosis or other health issues. Since we know that virtually all disease is caused by malnutrition (caused by poor food choices and/or malabsorption of nutrients due to a damaged digestive tract), our first priority will be to stop inflammation and heal the tract so you can maximally digest foods, maximally absorb nutrients from those foods, and efficiently elimi-nate the waste. The ultimate result will be a stronger immune system that fights FOR, instead of against you, to keep you well and symptom free. You will learn how to . . . read and interpret food labels, recognize and avoid toxic foods and additives, shop for safe foods, and eat out safely. I will teach you how to create and cook delici-ous, nutritious meals. You will also learn how to revise recipes to be “SCD Legal”. Lessons in cooking and ideas on stocking your pantry, accumulating cooking tools, and organizing your cabinets to make cooking a breeze . . . and FUN! are included. It has been established that when there are imbalances in the digestive tract, there are also imbalances in the brain. If imbalances are obvious four months into this program, we will test and discuss Neurotransmitter deficiencies and natural supplementation to aid in rebalancing brain chemicals. Since stress has been proven to be a contributing factor in the majority of illnesses, we will discuss and implement step-by-step goals to reduce stress in the areas of relationships and career. We will look at how spirituality and exercise directly affect health and well-being. As your “Personal Health Coach,” my goal will be to encourage, assist, and inspire you to reach your nutritional goals and establish healthier lifestyle habits that will last for a lifetime. This 6-month guided program will give you the support needed to establish life-long healthy goals and can be of great benefit, not only to you, but your entire family. As your “Health Coach and Food Detective” I will virtually ‘hold your hand’ (daily when needed) for a three-month period to instruct and guide you in understanding, implementing, and tweaking the “Specific Carbohydrate Diet” to your particular sensitivities and needs. I will make recommendations on nutritionally balancing the SCD foods and recommend “SCD legal” supplements, if they are needed. Your food and nutritional plan will be tailor-made for your specific health needs; whether they are to lose/gain weight, have more energy, reduce stress, sleep better, manage or heal from Depression, Arthritis, Fibromyalgia, Heart Disease, Diabetes, Acid Reflux, IBS, Celiac Disease, Candida, yeast, Leaky-Gut Syndrome, SIBO, Ulcerative Colitis, Crohn’s, Diverticulitis, Cystic Fibrosis or other health issues. Since we know that virtually all disease is caused by malnutrition (caused by poor food choices and/or malabsorption of nutrients due to a damaged digestive tract), our first priority will be to stop inflammation and heal the tract so you can maximally digest foods, maximally absorb nutrients from those foods, and efficiently eliminate the waste. The ultimate result will be a stronger immune system that fights FOR, instead of against you, to keep you well and symptom free. Since stress has been proven to be a contributing factor in the majority of illnesses, we will dis-cuss and implement step-by-step goals to reduce stress in the areas of relationships and career. We will look at how spirituality and exercise directly affect health and well-being. 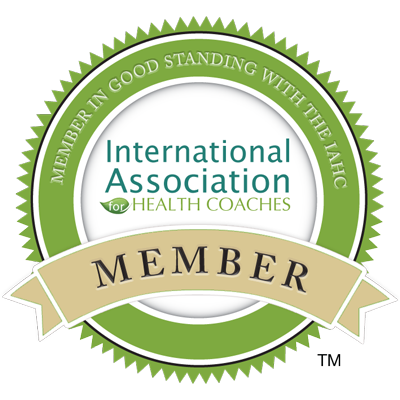 As your “Personal Health Coach,” my goal will be to encourage, assist, and inspire you to reach your nutritional goals and establish healthier lifestyle habits that will last for a lifetime. As your “Health Coach and Food Detective” I will virtually ‘hold your hand’ (daily when needed) for a one-month period to instruct and guide you in understanding, implementing, and tweaking the “Specific Carbohydrate Diet” to your particular sensitivities and needs. I will make recommendations on nutritionally balancing the SCD foods and recommend “SCD legal” supplements, if they are needed. Since stress has been proven to be a contributing factor in the majority of illnesses, we will discuss and implement step-by-step goals to reduce stress in the areas of relationships and career.